Shocked passers-by have described the scene of a crash in Swineshead early this morning, with pictures emerging from the scene. The single vehicle crash on Station Road in Swineshead was reported to Lincolnshire Police at 10.11am on Friday, October 20. Emergency services and an air ambulance were scrambled to the scene. 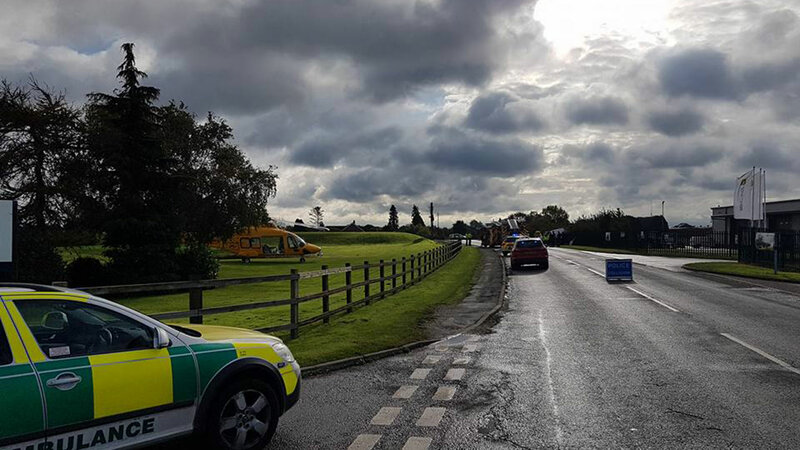 Kayleigh Wallace posted on the Emergency Community Group Boston Facebook page and said: “Bad accident in Swineshead near Grimme… air ambulance on scene. Police are dealing with the crash under incident 113 of October 20.